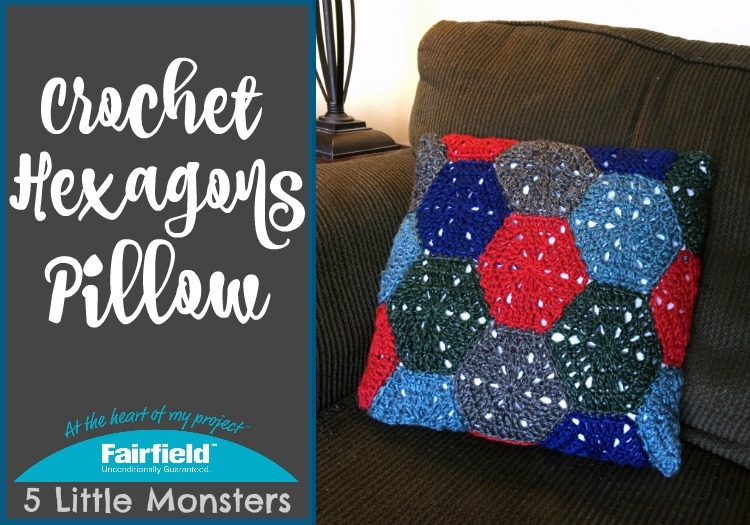 I have been wanting to make a project using crochet hexagons for a while and I thought a pillow would be a good project to start with. I want to make a matching blanket too, but I figured the pillow was a good place to start. 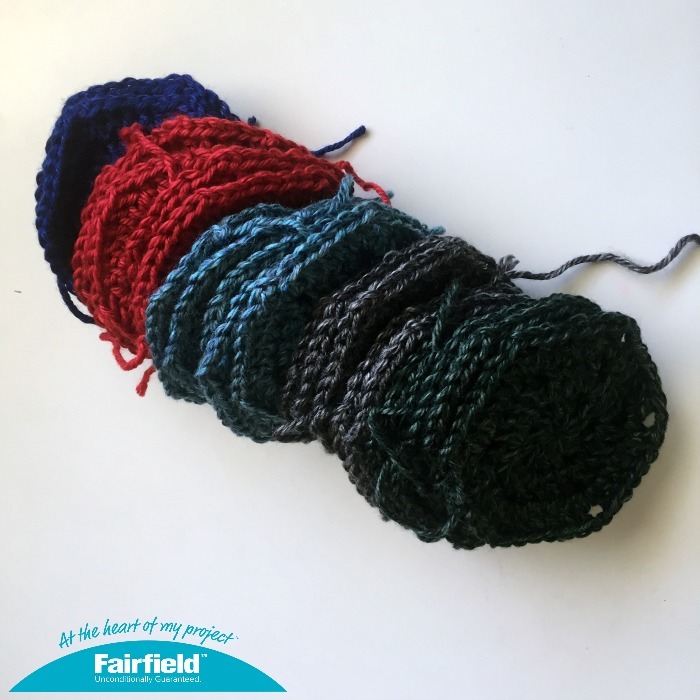 I found some Lion Brand Heartland yarn on clearance one day and I picked up a few skeins. I thought they would work well for this project. The colors were a little different that ones I have worked with recently too, which was kind of nice. It is always fun to switch things up a little. 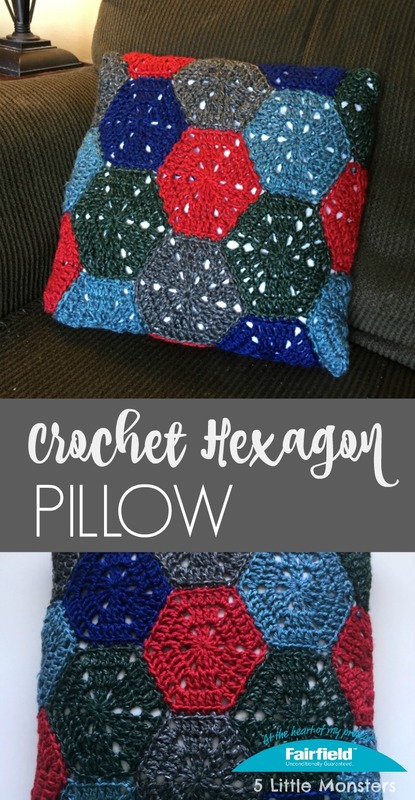 I used 5 colors for my pillow and a total of 24 hexagons. I sewed those hexagons together to create the pillow cover. 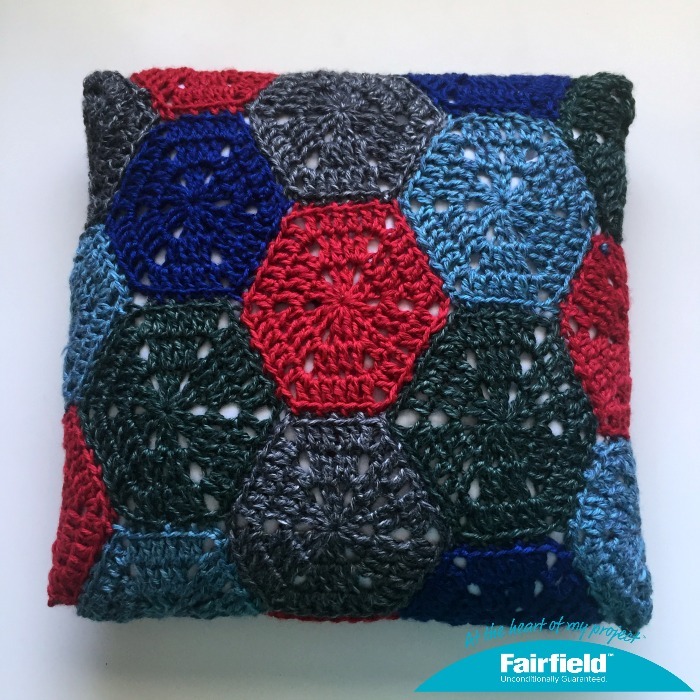 You can get the free pattern for the Crochet Hexagons Pillow on the Fairfield World site by clicking the link below. Great color combination and nice work you have done. I love woolen work, but didn't tried this till now. When I see this got stuck, simple but very beautiful work. I have bookmarked this page for reference.